That might sound a little idealistic but it's the reason we get out of bed in the morning. At Bunches we believe that business can and should have a positive impact. Bunches doesn't exist simply to create profits. We want to make a difference to people and to our world. 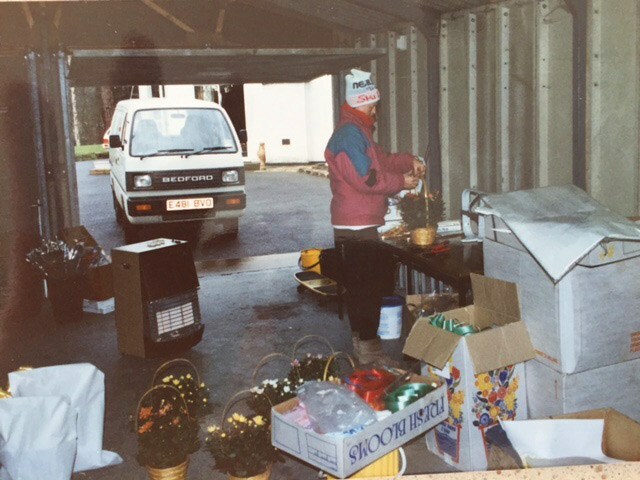 Our values haven't changed since we started selling flowers under an umbrella back in 1989. 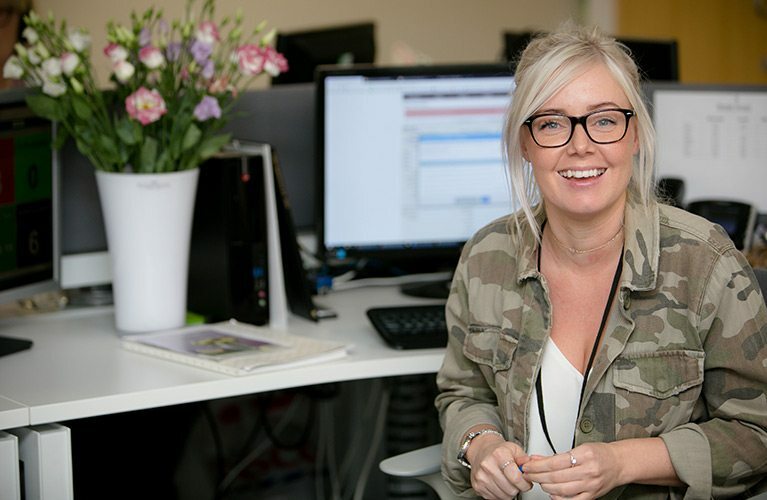 Bunches is family-owned, so we're all about relationships, whether that be with our customers, suppliers or our staff. We have the pleasure of selling a product that brings joy to others and aim to do so fairly and to the highest standards. Bunches has always been committed to giving a minimum of 10% of profits to working with the poor either in the UK or largely in the developing world. As far as we're concerned this doesn't just mean signing a cheque and then walking away. We are actively involved in deciding how these funds are managed and providing other, practical support too. 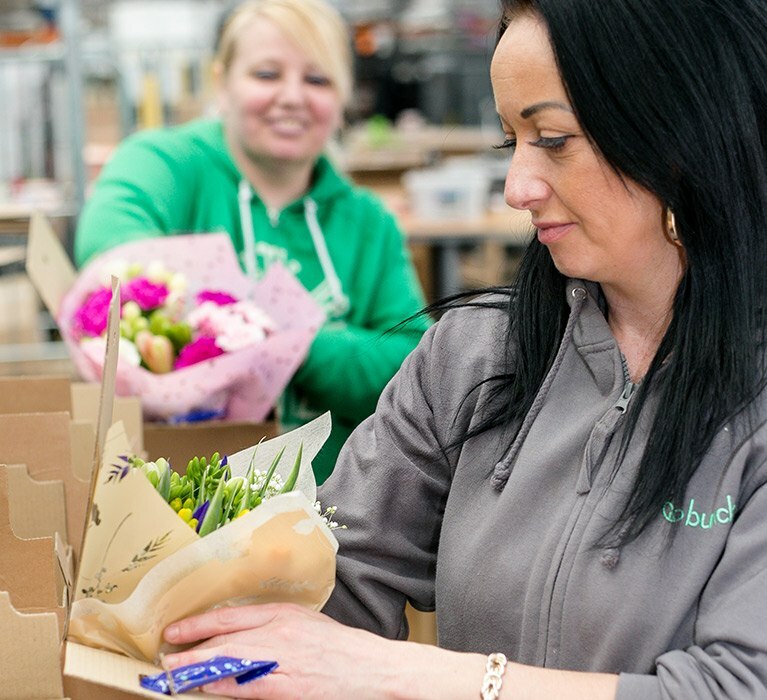 We do everything under the same roof, this means all of our staff members are trained to Bunches’ high standards, from our production team who are responsible for packing and quality-checking your flowers, to our friendly customer support team who are there to answer any questions you may have. They’re all an integral part of the Bunches family! Of course, we're not perfect and we know we're never going to be. It's really important that we understand this because when we're aware that we've not got everything right we can look for ways to improve. We want to get better. Constantly. 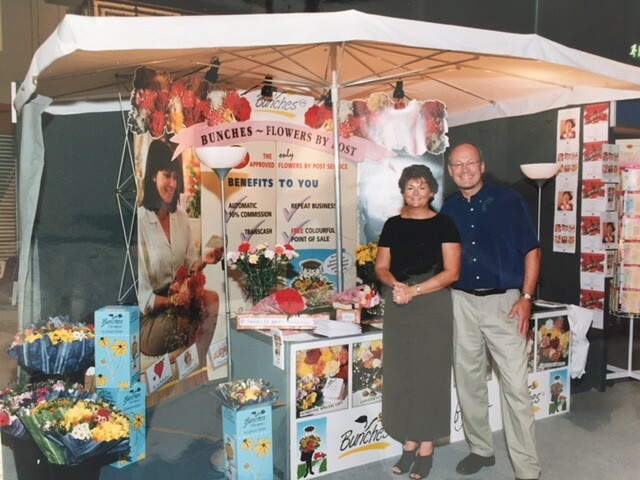 Over 7 million bouquets ago, beneath an umbrella in Mansfield, Erik and Sandra Hoving started selling flowers. They knew they wanted to do something unique so started by speaking to customers to find out what they really wanted. It didn't take too long before the idea of postal flowers blossomed. We started working with the Post Office in 1990 dispatching a grand total of 5 bouquets in that first week. We've been sending flowers out by post ever since and still talk to our customers constantly. It's a model that has stood the test of time. Lots of people have since copied us which we find quite flattering really. Around the turn of the millennium we took the decision to try our hand online and by 2004 it was pretty obvious this was a good decision! Since those first web sales we've built our own HQ and extended it twice, we've won a number of awards and been visited by royalty. We still like to do things a bit differently and all Bunches bouquets are designed and dispatched by our own passionate team. You can also call and speak to us too, or email, or use live chat if you prefer. Today Bunches is run by the next generation of the family (Dani took the reins in 2006, her husband Dan in 2012). Our values haven't changed since those umbrella days though. We're still listening to customers who trust us with their important occasions. We take that responsibility seriously! Ever since we sold our very first bouquet of mixed Carnations we've given away a minimum of 10% of our profits to charitable projects in the UK and abroad. Many of these relationships have developed as the business has grown and we have been lucky to see a lot of long term projects blossom. For many years our key partner has been Links International, a charity who work at a grass roots level to build relationships with trustworthy local leaders and teams around the globe. Many of them have become good friends over the years and we've shared many ups and downs together as we have worked to develop farms, medical projects, provide fresh water and support education. While not every project has flourished, we have learned lots of lessons and seen thousands of lives improved along the way. Who'd have thought selling flowers could lead to such adventures! Bunches flowers are sourced from around the world and we try to do our bit to provide you with beautiful flower and plant gifts without compromising people or the environment. 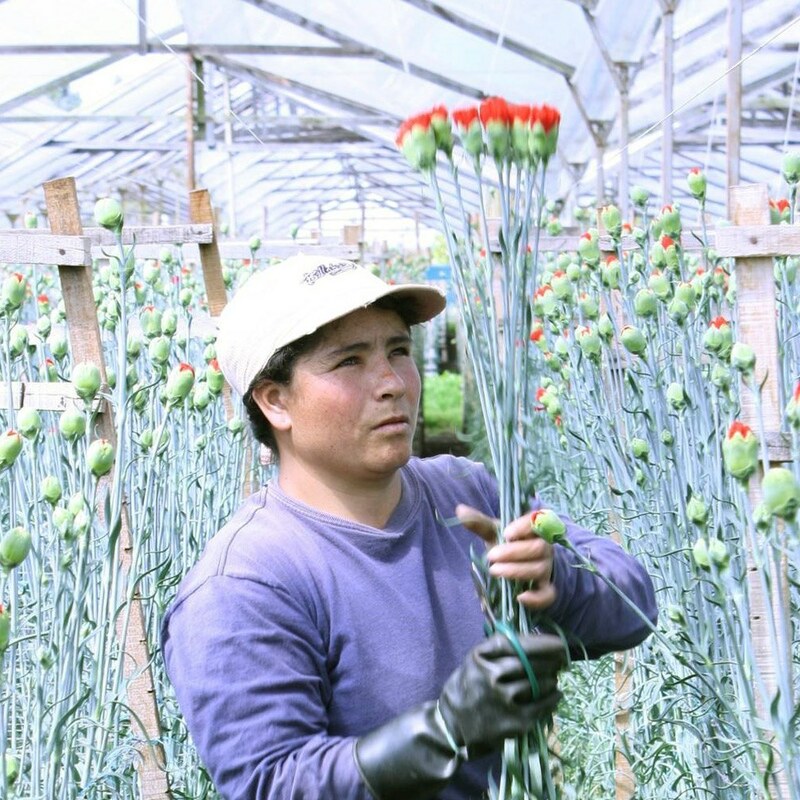 Many of the international flower growing regions are found in the developing world and this provides us with a great opportunity to support people through trade. 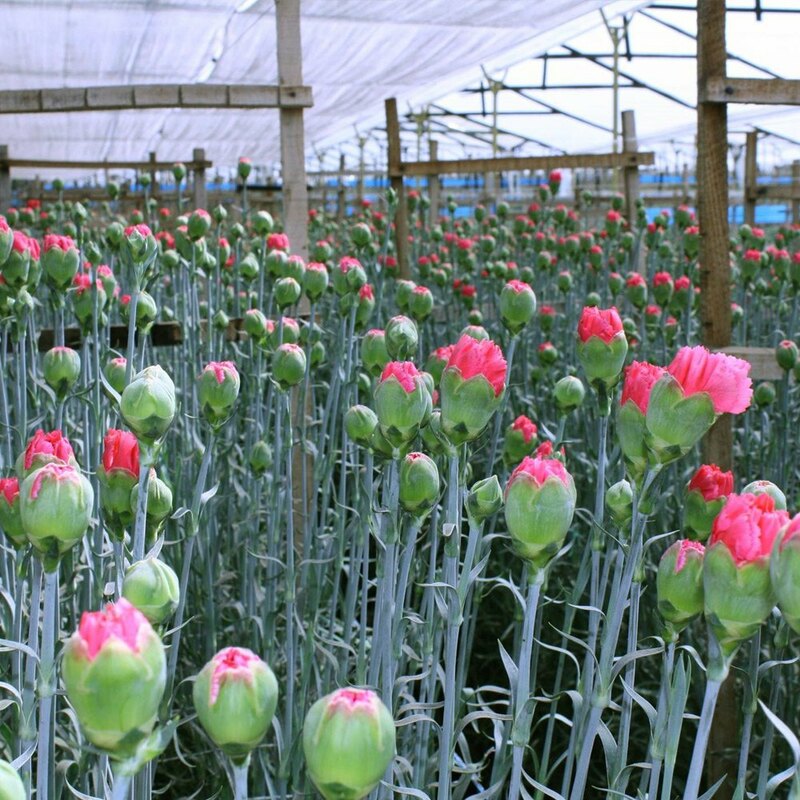 We know we have a responsibility to ensure that working standards are high and that our impact on the environment is managed, so our team visit the flower farms personally and we work with trusted suppliers. 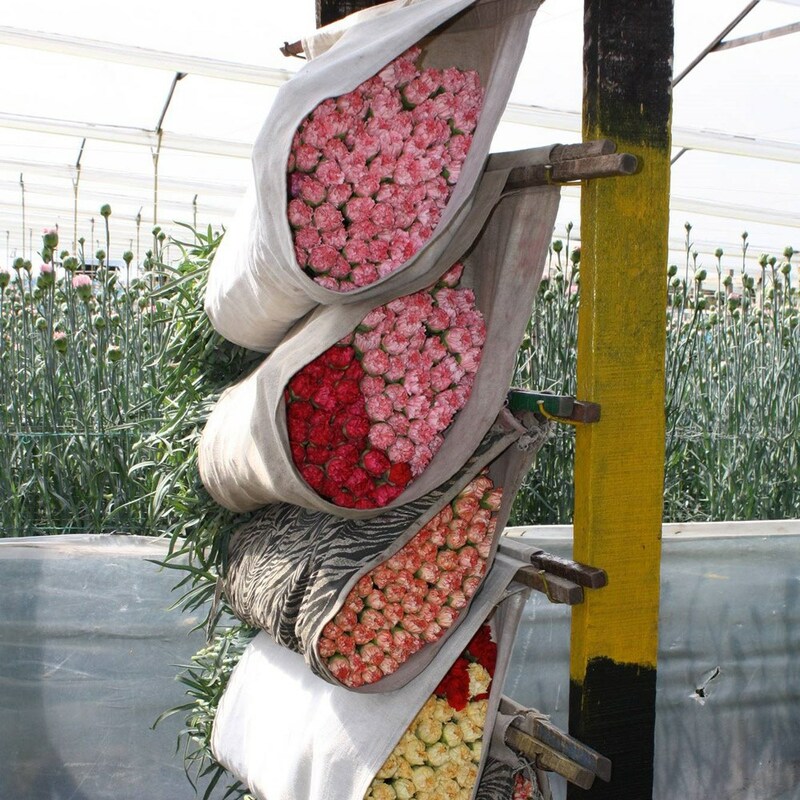 Wherever possible we will source our Columbian flowers from farms which are part of a voluntary code called Florverde. This is a unique initiative which aims to improve worker's quality of life, while ensuring growers meet specific environmental standards. 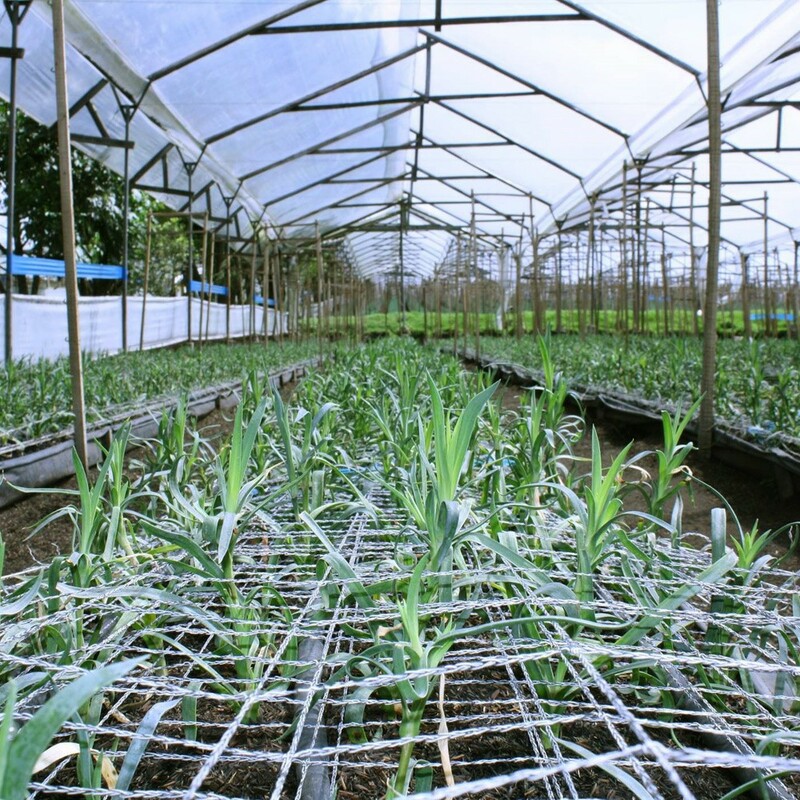 Florverde farms use sustainable resources, take care to reduce their water consumption and emissions, use organic fertilisation methods and dispose of waste responsibly. They only hire workers over the age of 18 and pay above local minimum wage.